Powered with 7 inch resistive screen and 1GHz Cortex processor, UbiSlate 7Ri Tablet price in India has been set at Rs. 2,999 (best price) for online purchase. UbiSlate 7Ri Tablet price is equal to UbiSlate first tablet but has much better features and specifications. UbiSlate 7Ri Tablet specifications include average quality battery with 3-4 hours of support, light weight and black color. UbiSlate Tablet 7Ri, 7R+, 7Ci, 7C+ ranges from Rs. 2,999 to Rs. 4,999. 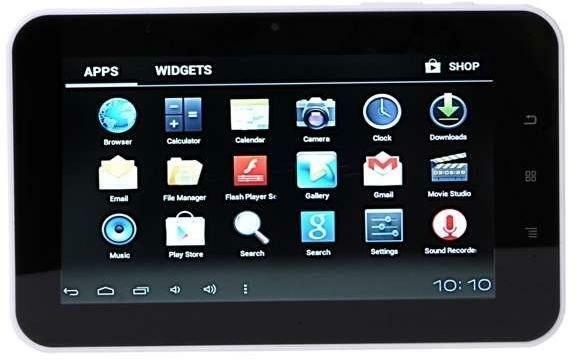 UbiSlate 7Ri Tablet price has been kept low to maintain its suitability to students and young professionals yet with significant upgrades in features and specifications which improves its usability for various applications. 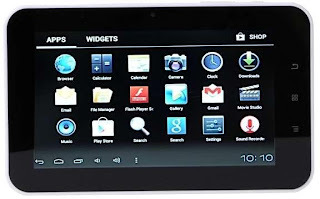 UbiSlate 7Ri Tablet features Android 4.0.3 operating system which may not be latest but still much ahead of its competitors. Also the low cost tablet has 512MB of RAM and 1GHz processor which will ensure high quality performance with great speed. UbiSlate 7Ri Tablet specifications include light weight to make it easy to carry anywhere. It is available in black color model and highly casing material. One of the drawback of the UbiSlate 7Ri Tablet is its low battery life which is just 3-4 hours and hence customers shall be ready to recharge 3-4 times if they want to work for full day. UbiSlate 7Ri Tablet price remain one of the main attraction like for previous models. It's features and specifications will give some excitement and also add to more productivity.